My partner Eleanor absolutely loves books. There’s no such thing as a short trip to a bookstore, and even though we’ve barely got any empty shelves at home, a new book always manages to come back with her after a trip to Foyles. For me, it’s houseplants! So when Aneesah and Craig asked me to photograph their wedding at London’s stunning Barbican Conservatory, I was absolutely thrilled. The Barbican Conservatory is one of the most unique venues I’ve ever worked at — it’s a lush, tropical oasis in the centre of London and even though you’re in the middle of the city, it feels like you’re worlds away. It could be chucking it down outside, but you’ll still have this little slice of paradise all to yourself. 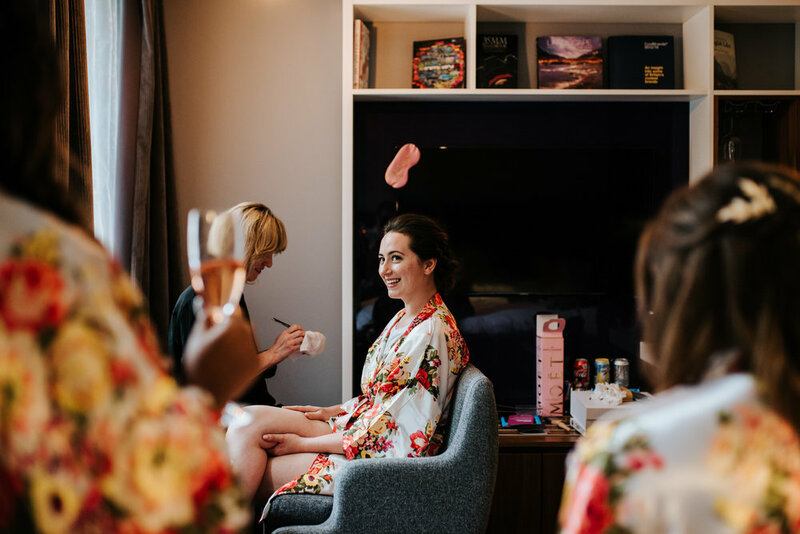 The day started with Aneesah getting ready at the Malmaison Hotel and making the short walk over with her bridesmaids. 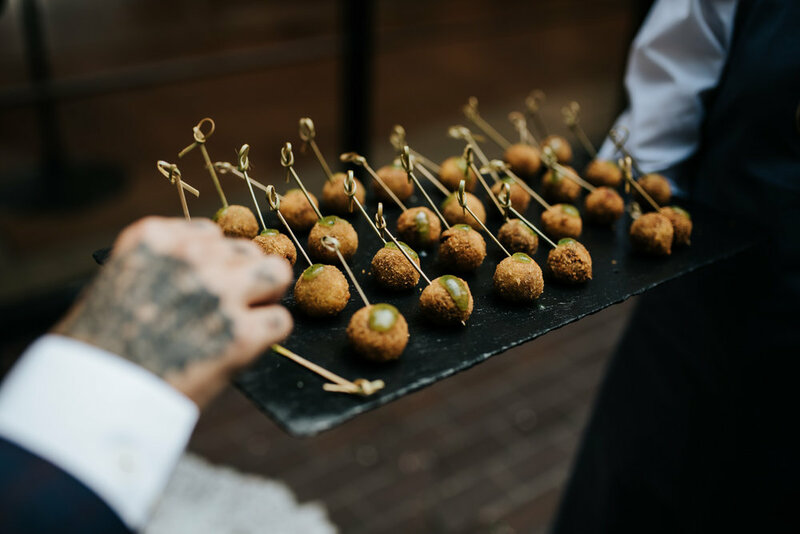 The ceremony took place in the central area of the Conservatory with plants and flowers blossoming all around us, and was followed with a drinks reception amongst lush and dense greenery. The Wedding Breakfast and speeches happened on the terrace overlooking the Conservatory and were followed by a fun party in the Garden Room with some very funky neon lights. A big thank you to Rachelle and the staff at the Barbican! Here is a selection of some of my favourite photos.